Microsoft just released the newest 6st generation of their best seller in PC department. 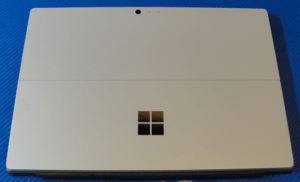 Over the last couple years they came up with new models and now sell laptops based on the surface tablets. 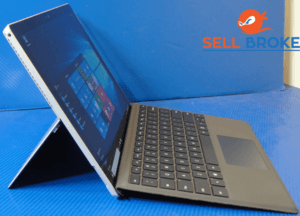 Let’s go back in time little and have a look at the 4th gen tablet that is still a very good computer and can be purchased at a very reasonable price either used or refurbished. The Surface Pro 4 feels reasonably good in the hand, and the overall build is fantastic. 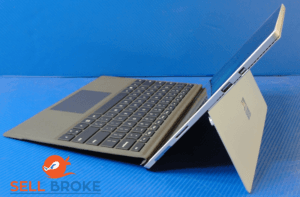 The magnetic mount on the stylus is on the left now, so you can have it clipped on while you charge the device and more importantly, it is much stronger than the Surface Pro 3. Overall, there are several more upgrades than the older model, and as regards specs, the i5 with 8GB of RAM is just perfect. The front camera is 1080p and equipped with an IRE meter for Windows Hello which is still amazing, and there’s also a 1080p rear-facing camera which is good but certainly worse than you would get on the average phone. On the right is a mini display port which can easily be adapted to HDMI, DVMI or even VGA for presentations. However, a single USB type-A port feels a bit dated, and it’s hoped the refreshed features Thunderbolt 3 or at least USB Type C with the option to use as a power input. Another upgrade that would be required is a full-sized SD card reader instead of a micro SD card reader. 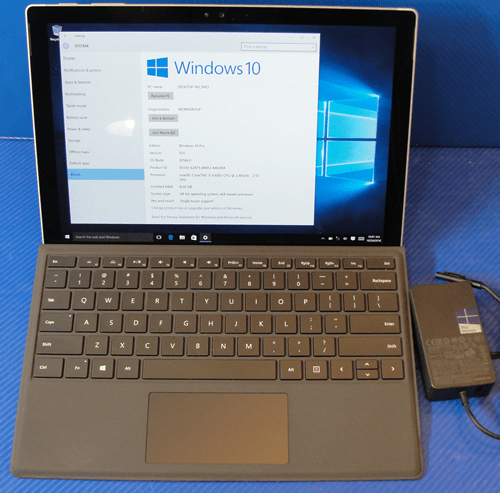 The screen on the Surface Pro maintains the 2×3 aspect ratio of previous versions which sacrifices some real estate for widescreen media consumption and this real estate is great, and its full coverage of the sRGB color space, excellent viewing angles and out of the box calibration means that it has stood up very well to the test of time, just like the CPU. 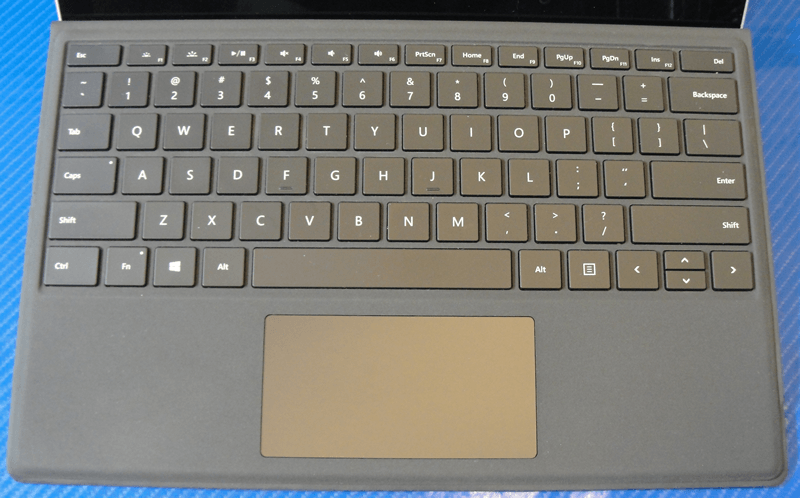 Microsoft went for a suede feel on the keyboard cover that in spite of its binder-like edge construction managed to be still impressive. 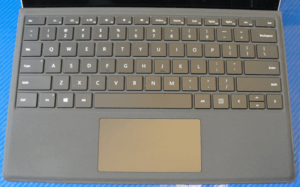 The touchpad is understandably small but has a good click, and the keyboard has good strokes, fairly long travel and there’s a satisfying click that previous Surface products didn’t give. Typing speed is great and the backlit is also a nice touch. The touchscreen is an excellent addition, and the included stylus is one area where Microsoft stepped up as writing notes felt close to what you would get on pen-paper. One other area where the Surface Pro impressed was its thermos, and despite its super thin size, it was able to keep the temperatures stabilized even in optimal usage. Overall a great device and on the Surface Pro 4, Microsoft was finally able to realize its vision for this line of product. 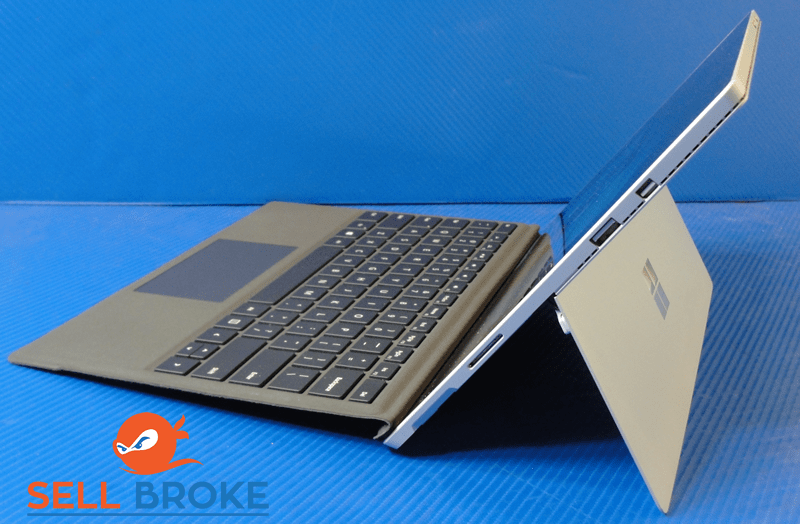 If you need a device perfect for productivity at a decent price, then the Surface Pro 4 is it. In our opinion this device is still worth buying. You will save a lot compared to the newest generation, yet you won’t have to sacrifice that much performance-wise. iPad Pro in 2018... Why Is Apple Still Holding Us Back?